Shape memory alloys (SMA’s) exhibit two very unique properties, pseudo-elasticity (PE), and the shape memory effect (SME). In the last decade, shape memory alloys (SMA) have attracted much interest as functional materials. Especially, it has been found that certain microstructures form in Ti-Ni alloys cause different shape memory behavior and improve the shape memory characteristics and mechanical properties. The Ti–Ni based alloys are the most important practical shape memory alloys (PSMA) with excellent mechanical properties. There are many phase transformations in Ti–Ni-based alloys system, which include not only diffusion-less / martensitic transformations, from which shape memory and super-elastic effects arise, but also diffusional transformations. Thus even the latter transformations have been used effectively to improve shape memory characteristics. 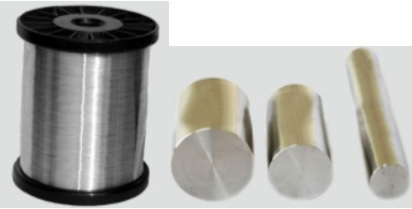 Thus the alloy system serves as an excellent case study in physical metallurgy, as is the case for steels where all kinds of phase transformations are utilized to improve the physical properties. This entry was posted in Stainless Steel, Titanium and tagged pseudo-elasticity, shape memory, Shape memory alloy, shape memory effect, SMA, TiNi, Titanium-Nickel. Bookmark the permalink.